In light of budget shortfalls and the aging population of priests, the Archdiocese of Philadelphia, which controls a vast portion of the city’s religious and educational property, has begun a sweeping restructuring of its physical presence in the city, announcing the closing of 10 churches and 20 schools in the city last year. Many more Catholic religious and educational facilities are in play as part of another round of changes coming this spring. The downsizing has meant merging and closing congregations from Our Lady of Blessed Sacrament in West Philadelphia to St. Hugh of Cluny in North Philadelphia, and selling properties that have long stood as cornerstones of neighborhood life. But as Hidden City has learned, there is no clear strategy for decommissioning the buildings and marketing them for sale to qualified buyers. For the next year, at least, it remains to be seen what will happen to the 2012 announced closings. And even as the Archdiocese forces the consolidation of parishes and parishioners travel the extra distance to Sunday mass at their new churches, it has yet to formulate a clear plan for the disposition of associated convents, rectories, and schools. And church officials seem nowhere close to making any serious decisions about the fate of the next set of churches. “Many of these buildings could be around for many years to come,” says Monsignor Arthur E. Rodgers, the lead coordinator of the restructuring process. But preservation advocates and observers caution that once deaccessioning begins, prospects for sustainable reuse are poor. They cite St. Boniface, which the Norris Square Civic Association demolished last year, and the threatened Church of the Assumption and St. Bonaventure Church as examples of the difficulty of finding a suitable–and financially capable–buyers for the churches. Archdiocese officials say that few of the churches on the 2012 closure list have closed completely to the public. In most cases, including the four churches absorbed by mergers in the last month, a portion of their facilities will remain as temporary “worship sites,” where congregants may hold special events such as weddings and baptisms. They have indicated that only when a church is in a dangerous state of disrepair, such as the Ascension of Our Lord Church in Kensington, will immediate closure take place. Critics caution that the “worship site” label is merely a convenient way for church officials to delay final closure, while the congregation dwindles further. And they say the worship site strategy only reinforces the ad hoc nature of the archdiocese’s response. Furthermore, according to a close observer of church preservation issues we spoke with, because each congregation is responsible for maintenance and upkeep of the church building, delaying almost certain decommissioning only exacerbates issues of deferred maintenance. Planning over the next year, says Rodgers, will entail evaluating each church individually. If the community still depends on the worship site for its spiritual needs, the Archdiocese will try to retain at least some portion of the building indefinitely. The Archdiocese will be actively trying to market and sell those portions of their holdings as it proceeds with the rest of the restructuring over the next two years, according to Rodgers. These buildings have generally been emptied of all church-related equipment and will more quickly be put on the market because, in part, they are easier to reuse. However, even these properties are difficult to repurpose, as the conflicted case of the transition of the Nativity BVM School in Port Richmond to elderly housing demonstrates. In what may be a sign of a more strategic approach to the issue, the Archdiocese has recently begun to develop a relationship with Partners for Sacred Places, a national organization headquartered in Philadelphia that helps religious congregations find new ways to raise money and draw the interest of the community. A major facet of this is finding innovative uses for underutilized adjunct buildings. Partners has completed some dozen deals around the country and in Philadelphia with arts groups to utilize church property. At the Center City First Baptist Church, Partners has connected the congregation with two local dance troupes, giving a long under-utilized Sunday school facility new life and public value. To encourage this kind of space sharing for its own buildings, the Archdiocese has provided the Partnership with a comprehensive list of empty convents in the city. Jaeger says that the inventory is big step in developing a relationship with the Archdiocese and that this kind of access to a denomination’s resources is crucial to drawing outside help for church facilities. Meanwhile, the restructuring process is already in full-swing and the stock of churches caught in limbo is growing. By Rodgers own admission there is no over-arching strategy, or consistent metric, as to how the Archdiocese will decide who to sell to or whether to maintain a facility, other than the “spiritual needs” of the community. He did express a “preference” for uses that preserved the external architecture of the buildings and were also not contradictory of Catholic doctrine–say a bar or a strip joint, for example–but stressed again that each church would dealt with individually. But Rodgers has refused to clarify whether past decisions to off-load iconic Catholic churches to groups without the capacity to maintain or upgrade them and without adequate plans for their reuse would impact present cases. How much due diligence on potential buyers will Rodgers’ planning group do? Whose responsibility is it if the Archdiocese sells churches to groups without the capacity to pay for basic maintenance? How much will short term cash needs dictate the process? So far, the Archdiocese has applied most of its analysis and outreach to the initial survey that determined which churches would be recommended for closures or mergers. This survey, begun in 2011, measured attendance levels, facilities’ state of repair, whether the parish was growing or shrinking, and whether the ministry could meet its financial obligations. Rachel Hildebrandt, a program and membership associate at Partners for Sacred Places (and a Hidden City Daily contributor), points out that these factors don’t tell the whole story. Denominational authorities need to also consider less traditional metrics, she says, like a congregation’s economic impact on the surrounding neighborhood or its potential for space sharing and community partnerships. Partners has piloted of a strategic planning program for clients to help them better understand and interpret the traditional metrics of a congregation’s health and apply these additional ways of measuring the long-term sustainability of a parish. “This approach is designed to encourage religious leaders to fully consider the potential of congregations that don’t stand up to traditional metrics but could thrive with some specific intervention,” says Hildebrandt. As of now, there is no way to tell if the designation of worship sites is a serious attempt to articulate better metrics and planning for the future uses of these buildings, or simply a delay of the inevitable messiness of cases such as St. Bonaventure and the Church of Assumption. The Philly Church Project, a local blog that advocates for church preservation and greater community outreach, has watched the mergers unfold and similarly sees the traditional metrics as inadequate. The blog’s curator, Chris Hildebrandt (actually a distant cousin of Rachel) says that parishes need more time between when the closings are announced and when they take effect. He notes how the recent West Philadelphia closings took place just three weeks after the announcements. “With more time and more transparency, maybe some of these parishes may be able to find a way to ‘rally the troops’ and come up with a viable plan to avert a closing,” says Hildebrandt. He also stresses that churches, generally, are very rooted in the city’s sense of place, which is why this process has been so jarring for the effected communities and even onlookers who appreciate the architectural and cultural significance of these buildings. 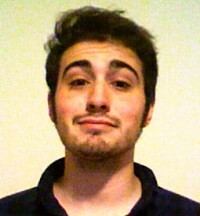 Alex Vuocolo is a freelance journalist in Philadelphia and its surrounding suburbs. He has written for Next American City and is currently picking up the occasional credit at Delaware County Community College. First of all, I think this is a great article that really dissects an issue that needed it. I think this is a huge topic coming up (and already here) for the Catholic Church. As pastoral planning groups have met, and tough decisions have been made I’m encouraged by the emphasis and on making hard decisions today to strengthen tomorrow. I do believe that the Archdiocese needs to sit down and have a discussion around all churches, and talk about how we can all help inner-city parishes thrive spiritually even as they struggle economically. I believe what the plan at Nativity, and other adaptive reuses, shows that the Church can continue to lead and serve in neighborhoods where they might not be omnipresent as they once were. Just wanted to note, the name of the organization is Partners for Sacred Places. Thank you for catching –ed. This is certainly a issue with many different sides to consider. One not mentioned is that at least one of the churchs that has closed/is closing, Our Lady of Sorrows, is attached to a large graveyard. Just to avoid confusion, the church at 48th and Lancaster is Our Mother of Sorrows, not Our Lady of Sorrows.